COMPETITIVENESS AND PERFORMANCE – CAN WE FIND A NEW MEASURING METHOD? ENTREPRENEURSHIP ON UNIVERSITIES: A NEED FOR A CULTURE CHANGE ? THE CORPORATE REPORTING TODAY AND TOMORROW- WHERE IC MIGHT BE PLACED? 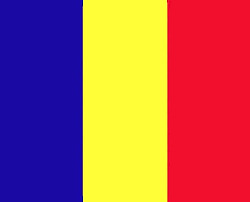 CAN ROMANIA ADOPT EURO IN 2012?